What do we do in a world where learning is no longer directly tied to an institution, and is being placed into the hands of the learner? Will Richardson posed this perennial question to educators recently at the ISTE conference. His question highlights a key tension: those with control over education policy are making decisions on the old model of schooling -- knowledge held by teachers who deliver information to students -- while young learners are clamoring for something different. “There’s not much I need you for when it comes to my child learning something,” Richardson said to teachers. If most test questions could be answered with a quick Google search, are they worth teaching? “Modern learning is more about discovery,” Richardson said. “It’s not so much waiting as doing.” Learners should be empowered to continue learning and to use their interests and passion to fuel projects that they care about. Richardson had some ideas about how teachers can begin to move away from content delivery and towards a model that is supportive of individual learners. “We don’t need school to be better, we need schools to be really, really different,” he said. Richardson’s three ideas for changing the way society thinks about learning that have nothing to do with student achievement on test scores. 1. “Knowmadic” schooling: Learning should be self-directed and based on the individual’s interests and passions, not curriculum or standards. This way, students will leave school with deep mastery of one subject instead of a little bit of information about a lot of things. Students could work in different contexts, produce new ideas, and transcend geographical limitations. Their interest in the subject would feed their motivation and by working with other students across the world, they'll be able to enhance networking skills. With this conception of “knowmadic” schooling, knowledge would be fluid and continuous, with kids revising initial understandings as they gain more information. “In modern learning it’s all about producing and iterating, figuring out what’s working and not working, revising, trying again,” said Richardson. In a “knowmadic” learning environment kids could constantly relearning and will be less afraid of failure. 2. Design Thinking: This idea isn’t new, but Richardson says it’s one of the most productive ways to think about learning in the future. In design thinking students solve real problems, think for themselves, discover knowledge and continually revise and change their models and prototypes, just like they might if working on a project at work. With design thinking, students can learn how to interpret information they've learned, and continue to iterate and experiment different solutions and ideas. In the process, students gain the confidence that everyone can be part of designing a better future. 3. 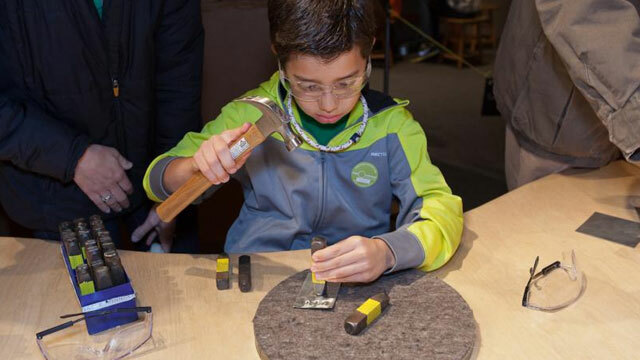 The Maker Movement: While not confined to school, the Maker Movement offers a fun avenue for kids to make real products. “It’s easier now to have an idea and make it come to fruition,” Richardson said. New technology like 3D printers and laser cutters are more available and enable students to produce what they’ve imagined. “How cool is it that a kid can make stuff, solve problems and gain a reputation as an innovator as an eight, nine or ten-year-old solving real problems,” Richardson said. These ideas all put students in the driver seat, allowing them to learn the self-confidence, research skills, inter-personal facility and hands-on aptitude that will serve them beyond school walls. The individual bits of knowledge that they’ll need to complete these projects and to gain perspective on how an idea fits in with others already designed can be acquired when the time is right. And teachers are key role players throughout the process, as guides that point out holes in the thinking and prod continued innovation. If many of Richardson's ideas don’t look like they’d be possible in today’s classrooms, that’s the point. For Richardson, today’s classrooms are outdated, full of kids waiting to be told what to do, asking what will be on a test. While the ideas are big, Richardson maintains there are ways to approach this type of learning slowly. “You can do it in small ways; just pick your spots,” he said.